Data loggers are processor controlled storage units which measure and record data over a certain period of time. Here, you will find a wide range of data loggers, including water resistant data loggers. We also offer diverse software versions for Windows OS to be used with our data loggers. It is very easy to establish diverse parameters in data recorders. Data samplers log 100 different series and offer the possibility to pile up results over a long period of time. Data loggers like the PCE-T390 series can measure and record 4 different temperature entries simultaneously. They are among some of our most popular products. There is also a wide range of Data collectors to be used in many different sectors to measure: sound, temperature, humidity, light, gas, air, and many more. There are also stationary and hand-held instrument with integrated data loggers. Most of our data loggers are battery-operated, equipped with big internal storages for up to 2.000.000 readings and possess interfaces as the RS-232 for the data transfer to a computer. You will find optional accessories like mounting supports main components or software for representation and management as well as ISO calibration certificates available for our portable or stationary devices. If you can't find the data loggers you are looking for, please contact us and we will help you find the best solution to suit your needs by calling our offices on: UK customers +44(0) 23 809 870 30 / US customers (561) 320-9162 and our technical staff will advise you regarding our measuring instruments. Our engineers and technicians will be happy to help you with the data samplers, and of course, with the other products in the field of regulation and control, and scales and balances. Some models of Dataloggers are used to establish air and sea transport protocols. On the contrary, other sampler models are used to measure and control the industrial production sector or even the agricultural sector. So data loggers can be re-calibrated or not depending on how accurate they need to be. Calibrated data loggers can be continuously recalibrated using optional calibration systems or they can be regularly sent to our company to carry out a calibration and obtain a certification of calibration. Data loggers are formed by a programmable processor, data memory, input ports for several sensors to be connected, etc. Data collectors have to have their own energy supply (by means of a battery or an accumulator). Measurement details are received through the sensor. An analogue to digital converter (ADC) turns the details into electronic data to record them inside the memory which can be then transferred to a memory card, an EPROM (Erasable Programmable Read Only Memory), a hard disc or other such device. When data is recorded the loss of details is prevented and a permanent copy can be created. Registered data can be transferred by means of the many ports of the data loggers (RS-232, USB, LAN, Bluetooth) to be analysed by the software. Depending on the different measurements, data recorders can have one or more channels connected to several sensors simultaneously. Data collectors are used when long term measurements are taken without any personal control on the site. So, dataloggers are mainly used in field tests, transport control (in lorries), food industry test, to analyse error systems (in oscillatory tensions or in a system), in quality studies, research and development. Apart from that, this instruments are also useful for private use. All data loggers (both small size loggers and the others with sampling function) can be connected to a PC or a computer for the their configuration with the Windows Operating System (real time, measurement quote, start, stop). Not all dataloggers can be programmed in this way, so it is very important to read the technical specifications carefully. Data loggers first start with the measurement to store data in their internal memory. When the estimated time slot is achieved or the internal memory is full, then the data sampler is disconnected. Once this occurs, you will connect them to a PC to read and analyse measurement details. 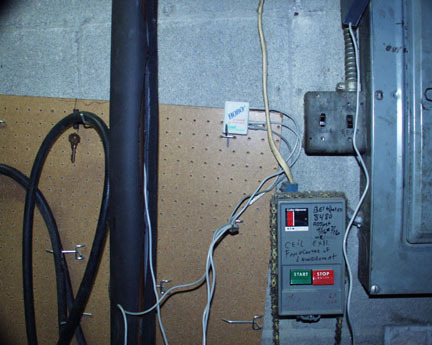 Depending on operation areas, there are data loggers with several equipment on outputs. The interfaces RS232 and USB as well as memory capacity are available via a SIM card. The small and handy data collectors are suitable for measurements of values like effects of light, humidity or speedup are straightened for the mobile action. The operating area of data recorder is wide spread. Temperature data samplers do measure humidity and temperature. These data will be saved and displayed. The saved data is able to be evaluated on a PC. UV data collectors measure UV intensity over a specific period. Measurement will be carried out via mW/cm2. On places where UV radiation sources are, loggers are able to be used. Solar data recorders measure in case of light intensity and temperature, how the energy output on the desired point is. The logged data can be evaluated via an interface with the PC. Those collectors will find application during planning processes of photovoltaics to optimize their application. Radio controlled weather stations with the function of data loggers get several data of temperature, wind velocity, wind direction and precipitation. This data will be shown on an external display. Via the USB interface weather data will be uploaded. Due to this, you will get a detailled review of the local weather conditions. 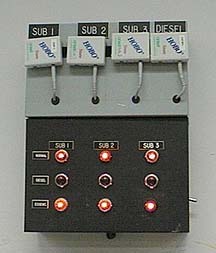 Example of an implementation of a data logger. Data loggers recording current data. Data collectors testing both voltage and connection stage in the information sector. Images and information provided by our data recorders supplier Onset. You must bear in mind that many of the data sampler sensors can suffer changes with the time, specially humidity sensors. These changes have a negative influence dealing with accuracy Data loggers: humidity sensors capacity. Some recorders, for instance the Hobo ones are calibrated only for a limited period of time (2 years approximately) so once this time has passed, these data samplers cannot be used again. Nearly all data collectors models can be recalibrated at any time by means of an optional humidity standard. However data loggers can be calibrated to meet the DIN ISO 9000 to be used for several years. Data collectors can be included in your set of internal testing tools once they are calibrated to ISO 9000 standards. Annual recalibration can be performed in PCE Instruments to keep all your instruments accurate and up to date. Note: When data recorders are used with different input channels, their maximum memory capacity only refers to one channel. If you use a data logger with four input channels, maximum memory capacity has to be divided into four parts (example: four channels with a max. memory of 32000 Byte is 8000 Byte every channel). This anemometer comes with data logging function. The measurement values can be stored directly in the memory of the data logger and can be transmitted to the PC to evaluated later if requested (English software and data cable are included in delivery). Hence you can carry out measurement ranges on-site as well as analysis of the air measurements in the office. Thus you save time for the tedious notes of the values and avoid transmission errors. The external impeller (on 1.5 m cable) increases the mobility and flexibility with an exact measuring of air velocity. This anemometer with data logger belongs to the basic equipment of a ventilation technician for balancing and monitoring of ventilation systems. The lifetime of battery amounts approx. 50 hours with a battery, a current strength of 300 mA/h. If you wish to take a long-term record with the anemometer with data logger, which takes longer than 2 days, you have to use the battery pack or power adapter in these data loggers. If you wish to print a selection of the Data loggers from our printed catalogue, click the PDF symbol.